Please feel free to share with us any feedback that you have from this new weekly feature in the comments section below. 6) What can a great coach teach you about leadership? 7) Chinese man uses Google maps to locate family 23 years after being kidnapped! 9) Who’s smarter: The Selfish or the Generous? 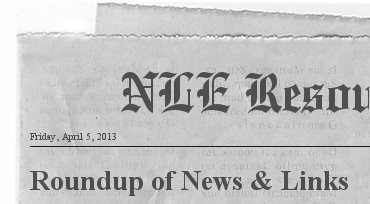 Please note: The views expressed in the articles featured in this post reflect the views of their authors and do not necessarily reflect the thinking of NLE Resources.